Scroll to the bottom for links to the Series! I'm going to be starting a basic budgeting series beginning next week. This isn't some detailed course. What I'll be sharing is how God taught me to get control over my finances in a big way. I'm still growing and learning - it takes baby steps! What comes in and what goes out! I hope you will join me on Wednesdays starting December 17th for this exciting series. 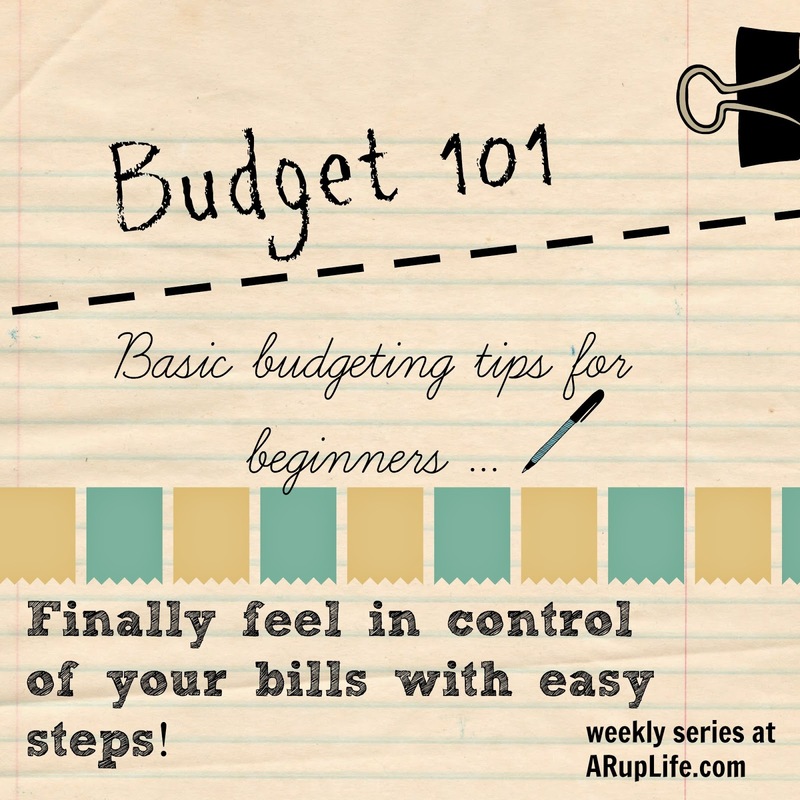 If you have never budgeted - this is the series for YOU! If you are constantly wondering how you will pay your bills - this is the series for you! If there is anything specific you would like me to touch on please leave a comment or email me at aruplife@gmail.com. I am no expert but I will try to give you practical, biblical advise in answering your budgeting needs.